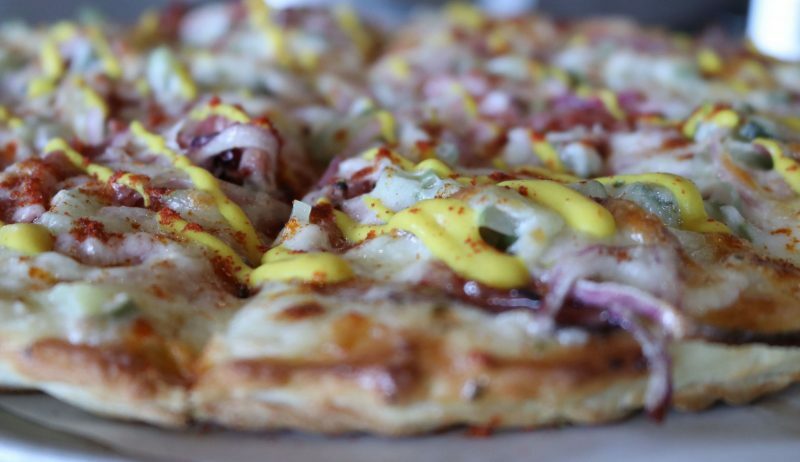 Manitoba Restaurants Want the Pizza Prize! The secret to an award-winning pizza is the cheese! As a Platinum-level sponsor of the inaugural Manitoba Pizza Week, our opinion is biased; however, the 13 Manitoba restaurants, who registered for the Best Bothwell Cheese Pizza category, believe this to be true as well. At first glance, the competition for the first pizza week in Manitoba is fierce but all contenders bring their own personal touches to their specialty pizza that will set them apart from their category competition. Among the participants is New Bothwell’s very own New B’s Café & Store located in the heart of the province’s self-proclaimed ‘Cheese Capital’. If you have never visited this charming establishment, it’s definitely a must. Totally Twisted, New B’s Café and Store. 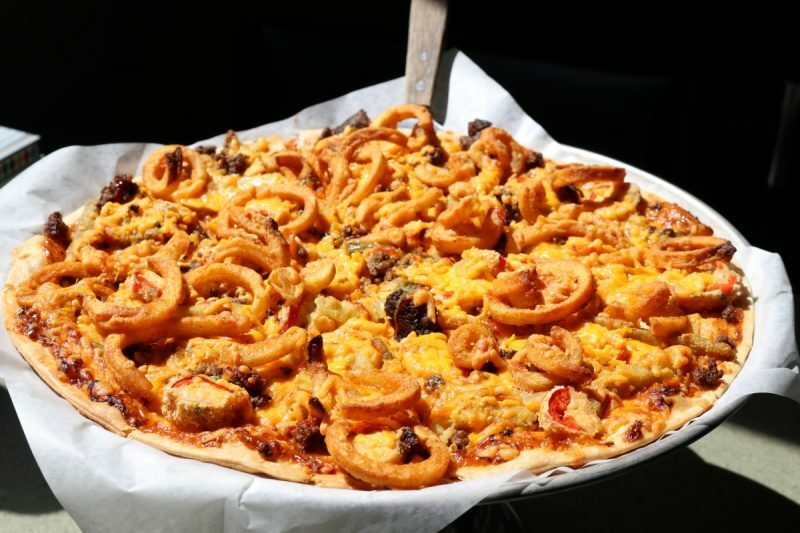 All contestants of Manitoba Pizza Week have poured their heart and soul into their creations – going well beyond the traditional pep-and-mush. 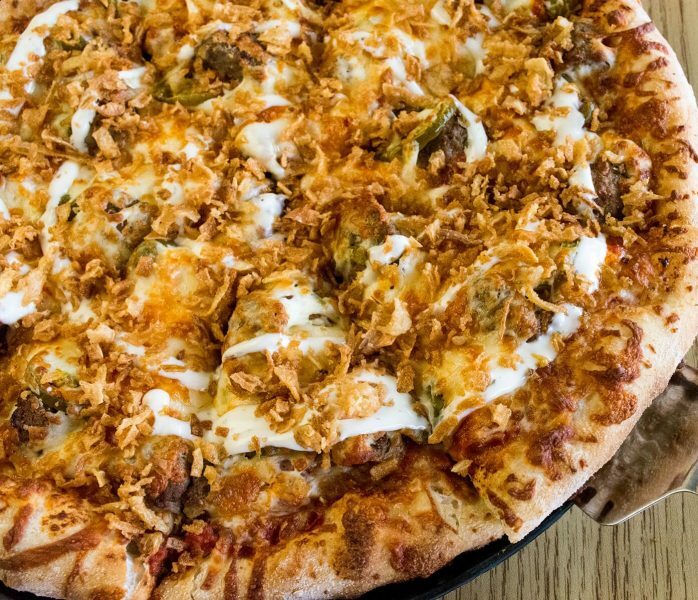 Diana’s Cuccina & Lounge – Muenster Ballz Blitz – Made with marinara, farmer sausage, all-beef Italian-style meatballs, Jalapeños, Bothwell Muenster cheese, Mozzarella cheese, topped with crispy fried onions and drizzled with Ranch dressing. Rebel Pizza – Montreal Smoked Beef n’ Cheese – Bothwell Maple Smoked Extra Old White Cheddar mixed with Bothwell Horseradish cheese, white sauce and Horseradish mixed, shaved Montreal smoked beef brisket, thinly sliced dill pickles, red onion, finished with a dusting of smoked paprika and yellow mustard. Frank’s Pizza – Jason’s Special – Pepperoni, salami, back bacon, beef and Bothwell Mozzarella slices – you read that correctly, slices – a consistent amount of mozzarella cheese on every pizza slice. New B’s Café and Store – Totally Twisted – A special blend of chipotle sauce, spicy Jalapeño poppers, seasoned ground beef, tangy battered pickle fries, curly fries, ketchup, mustard & special seasonings topped with Bothwell Cheddar cheese. 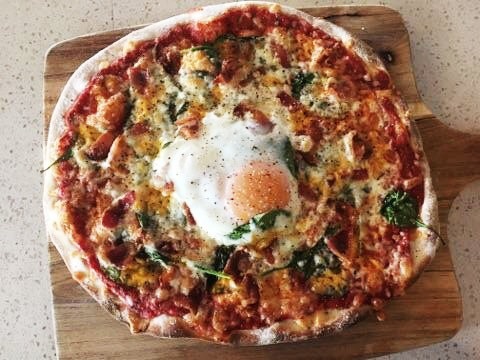 Nicolino’s – Bothwell Breakfast Pizza – The ultimate breakfast pizza with spinach, side bacon, eggs and Bothwell Old Cheddar cheese. Prairie 360 Skyline Restaurant & Lounge – Pizza Pescatore – Made with house-made pizza dough covered in garlic butter and fresh marinara sauce and topped shrimp, scallops and mussels along with fresh basil and Bothwell Mozzarella cheese finished with a garlic cream drizzle. Barley Brothers – Barley’s Pizza Pocket Royale – A handmade calzone created with their secret beer dough recipe, stuffed with signature smoked pulled pork, house-made beer BBQ sauce, Bothwell Extra Old White Cheddar and goat cheese, smothered with a pale ale pineapple and corn salsa and a chipotle ranch drizzle. Carnaval Brazilian BBQ – A Taste of Carnaval – Made with a hand-tossed crust, topped with fresh tomato sauce, olive oil and oregano, fresh BBQ beef, chorizo sausage, leeks, cherry tomatoes, mushrooms, fresh basil and (of course) grilled pineapple, and Bothwell Mozzarella cheese. Mona Lisa Ristorante Italiano – C’s Get Degrees – Made with macaroni, Bothwell Cheddar cheese cream sauce, bacon, pancetta, topped with bread crumbs. 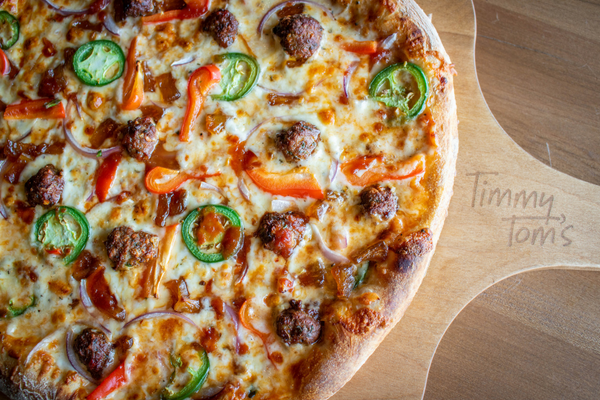 Timmy Tom’s Pizzeria – Sweet Onion BBQ Meatball Pizza – A blend of Bothwell Cheeses, topped with in-house roasted meatballs, sliced jalapenos, red pepper, red onion and candied pineapple. Flying Pizza – Pepperoni, sausage, roasted red peppers with a blend of four Bothwell cheeses. Red Ember (The Common) – Crème Fraiche – Goat cheese, Bothwell Smoked Parmesan, asparagus, cherry tomatoes, white anchovies, paprika breadcrumbs. Pronto Pizzeria – Chicken Bacon Ranch – In-house original crust, ranch, bacon, roasted chicken, chives and Bothwell Mozzarella and Cheddar cheeses. Manitoba restaurants are bar none some of the best in the country. There is an exceptional amount of creativity that goes into not only the dishes created but the dining experience as well. Cory Gaudette, owner of Rebel Pizza, is proud to offer a modern-day pizza joint that emphasizes creativity and customization for their customers. “We offer our customers a unique dining experience where customers can choose their favourite toppings and we build their pizza right in front of them,” he explains. Besides amazing pizza, some establishments will have weekly specials such as Diana’s Cuccina & Lounge, who is hosting a special tasting night on Wednesday, June 6, where everyone can enjoy a slice of three of the four pizzas entered into Manitoba Pizza Week, along with a pint of their choice. Banding together to deliver the most delicious Manitoba Pizza Week in the history of any food week, the Best Bothwell Cheese Pizza competitors have brought their A-game and now it is up to you to crown the winner. Manitoba Pizza Week runs from June 4-10, 2018. Vote for your favourite pizza at manitobapizzaweek.com. 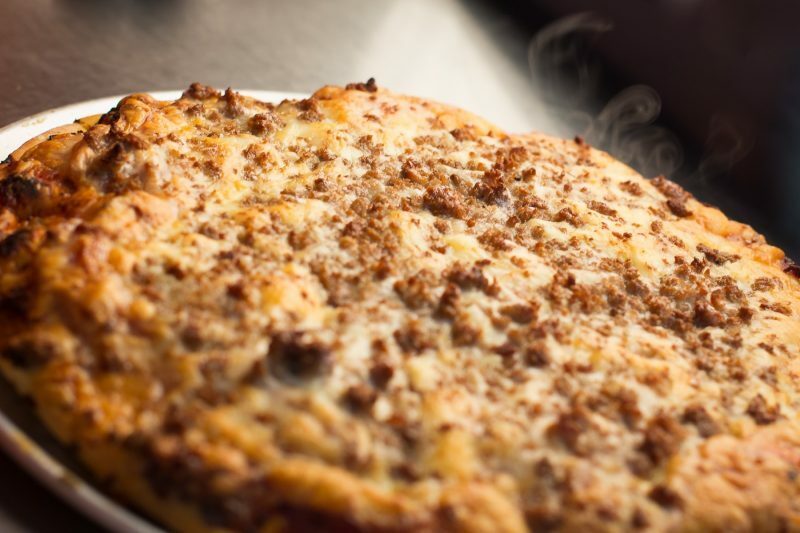 To win your very own #BestBothwellCheesePizza during Manitoba Pizza Week, head on over to our Facebook or Instagram pages and enter in our current contest.